During World War II, copper was in desperate need, being used for everything from communications equipment to shell casings. 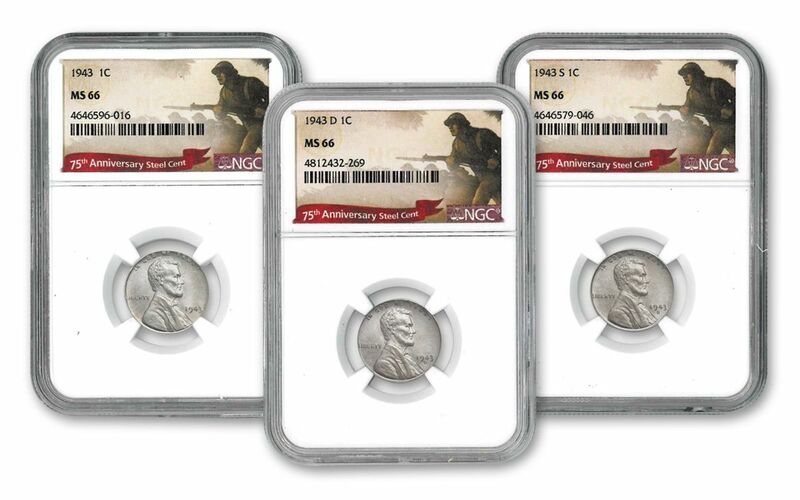 Stepping up to the plate, the United States Mint handed over their supply, resulting in these scarce Lincoln Cent and Jefferson Nickel varieties. 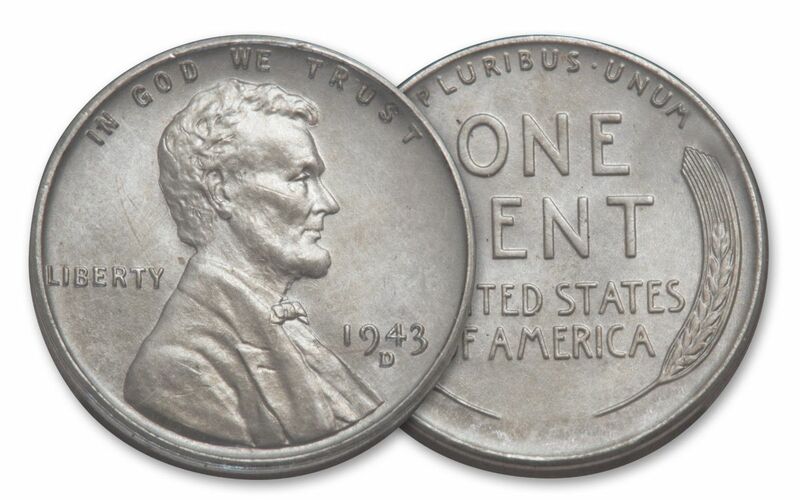 The Lincoln Cent is the U.S. Mint’s longest-running design, but for one year only – 1943 – the coin was struck in zinc-coated steel instead of copper. 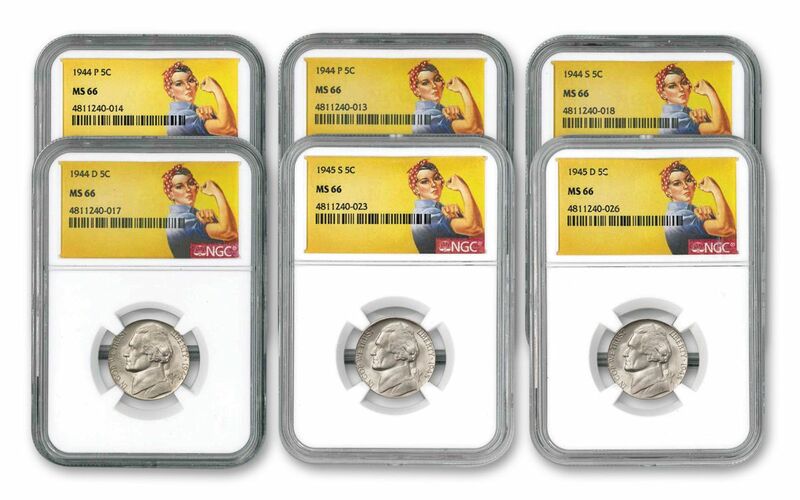 These “steelies” can be tough to come by today, but this collection includes a coin from each mint that struck the Steel Cent – Philadelphia, Denver and San Francisco. When it was first issued, the steel cent was often confused for dimes and would easily become stuck to magnetic objects. However, its one year of use provided the perfect pause. 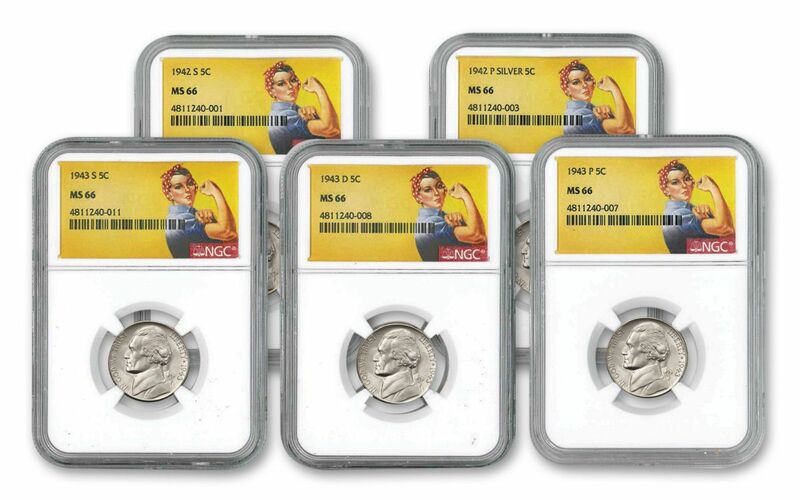 Now, more than 75 years later, you can own a storied Steel Lincoln Cent from each of the mints that struck it. The Jefferson Nickel also changed its composition. 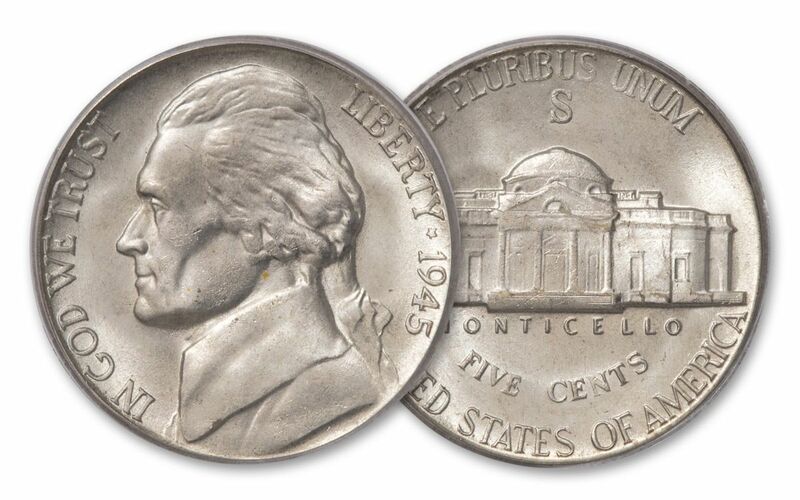 Previously struck in 75% copper, the Nickel was issued from 1942 through 1945 struck in 35% silver! We’ve brought together all 11 dates and mint marks for this collection. 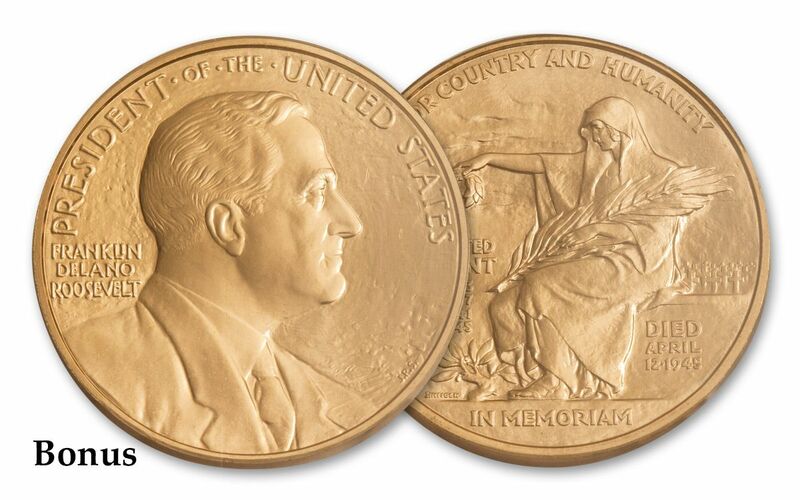 It was anticipated that these emergency coins would be withdrawn from circulation after the war. To help identify these coins, a prominent distinguishing feature in the form of very large mintmarks were added. Coins from all three mints bore the super-sized mintmarks above the dome of Monticello. This also represented the very first time the letter “P” was used as a mintmark on a U.S. coin! The U.S. Mint came to the rescue during World War II, and this 14-coin collection is the proof. 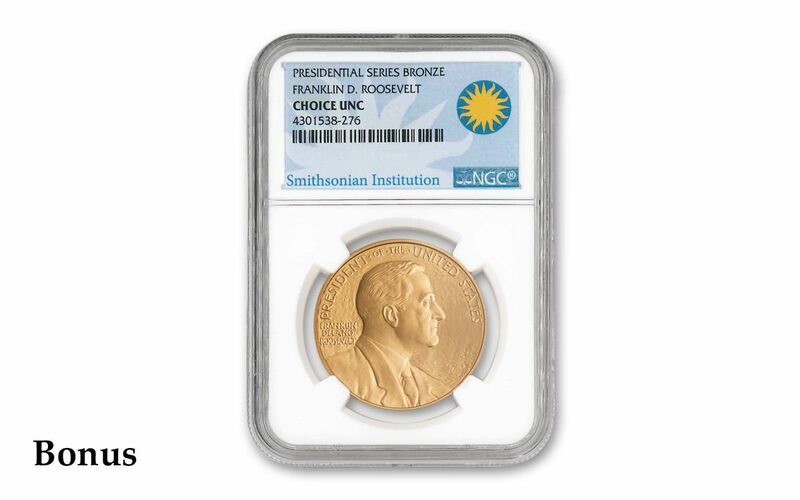 Order now and you’ll get all 14 coins certified by the Numismatic Guaranty Corporation (NGC) as being in Mint State-66 (MS66) condition, and we’ll even throw in a bonus U.S. Mint Bronze Presidential Medal of President Franklin Delano Roosevelt, pedigreed with a Smithsonian Classic designation. 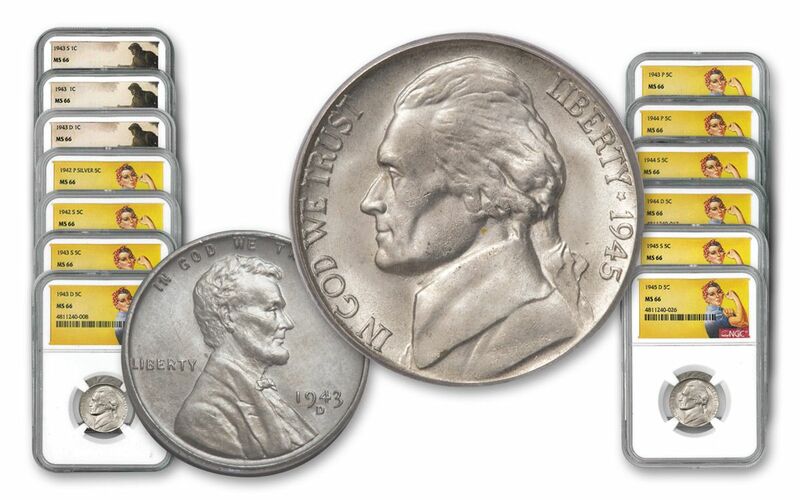 No U.S. or World War II coin collection is complete without it!